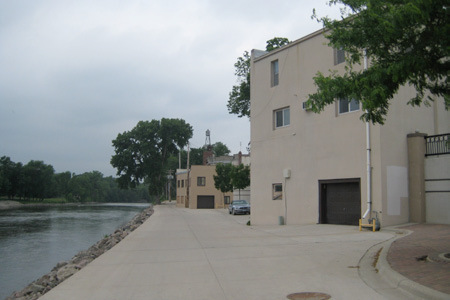 The KK Berge Building is along the Minnesota River. 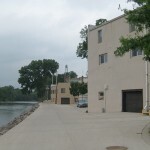 The building has been part- of Granite Falls since the early 1900’s. 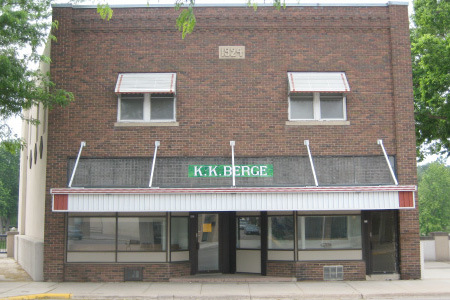 The KK Berge building of present day, however, was originally set for demotion due to flood mitigation. 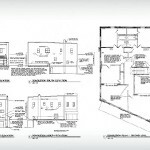 The building renovation project saved the historic building from being demolished. The K.K. Berge building is a unique structure located in Granite Falls, MN. Built in 1929, this historic piece of Main Street was scheduled for demolition as part of a larger City flood mitigation project. 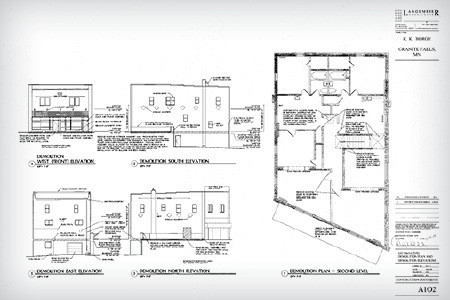 The project scope was to raise the main level floor elevation by two-feet. This height allows flood water to enter the basement without damage to the main level. As one of twelve main street buildings to be demolished, only the K.K. Berge building remains. Today, the building stands as a reminder that creative re-use efforts are a catalyst for a new kind of economic prosperity and sustainability.